In this paper, a new unsupervised image segmentation scheme is presented, which combines wavelet-domain hidden Markov tree (HMT) model and possibilistic C-means (PCM) clustering algorithm. As an efficient soft clustering algorithm, PCM is introduce into unsupervised image segmentation and used to cluster model likelihoods for different image blocks to identify corresponding image samples, on the basis of which the unsupervised segmentation problem is converted into a self-supervised segmentation one. 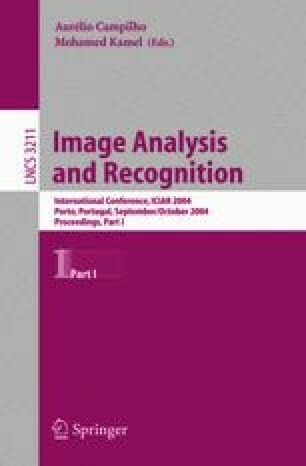 The simulation results on synthetic mosaics, aerial photo and synthetic aperture radar (SAR) image show that the new unsupervised image segmentation technique can obtain much better image segmentation performance than the approach based on K-means clustering.